Top Shot is a low cost option for home style laundry machines and perfect for self serve, low volume or special one product applications. TOP Shot is designed using the proven Olympian platform and is ideal for home style up to 75 lb. (45 kg.) commercial machines and available with EPDM or Silicone Squeeze tubes. 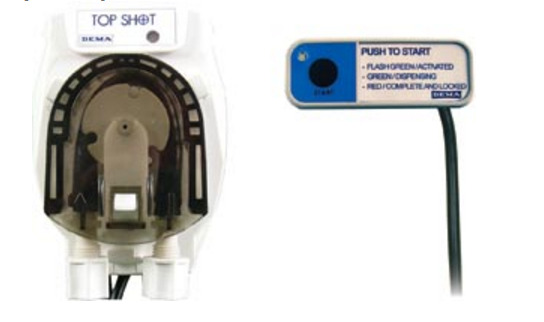 Top Shot has an easy to use remote start button that makes it ideal for self serve applications.